When designing the perfect piece of diamond jewelry, there are so many sparkling options. 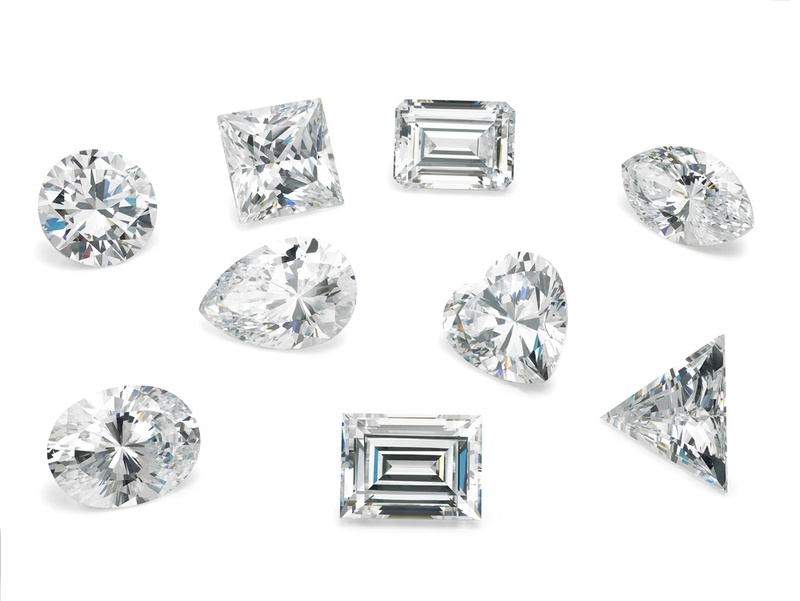 Diamonds can be cut into different shapes and sizes—from tiny dots to massive mega carats. And color and clarity can greatly vary, too. So with all these choices, how do you find the best diamond? Before you look at loose stones, you need to set a budget. The cost of diamonds varies greatly, with larger flawless stones commanding the highest prices. When you’re looking at all those diamonds, it’s easy to get lured by the sparkle and beauty of a stone. Map out your budget before shopping, so you can set your search criteria to the stones that are in your price point. A diamond’s shape can be round, brilliant, pear, heart, marquise, Asscher, emerald, cushion, radiant, princess, or oval. Longer shapes like marquise, oval, and pear elongate the finger for a slender and elegant look. Princess and round brilliant are universally flattering, although round brilliant exudes the most fire (or sparkle). Emerald and Asscher cuts feature step facets and appear sleek and shiny as opposed to fiery; these two shapes (as well as cushion) also flatter vintage inspired settings. Radiant diamonds offer a similar geometric appeal like the emerald, but the radiant offers more brilliance. Looking for whimsical appeal? Choose a heart-shaped diamond. The most important factors when selecting a diamond are the 4Cs: cut, color, clarity and carat. 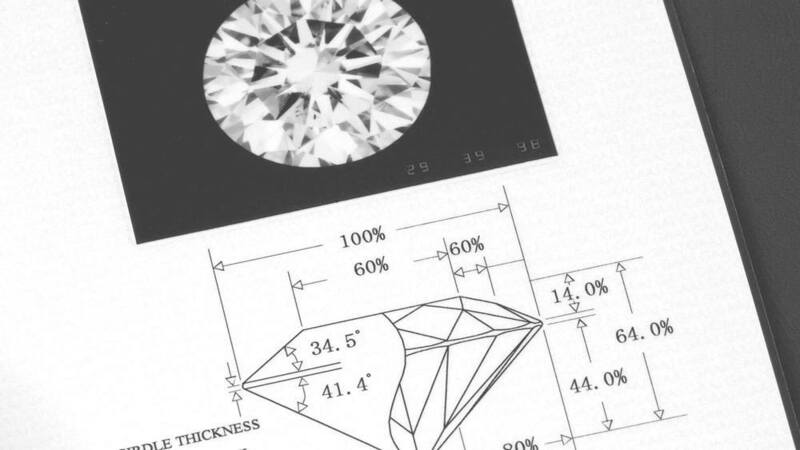 Every certified diamond is graded in each of these four areas, and they each impact the price of a stone. This is where knowing your budget is important. Unless your budget is bottomless, buyers must weigh the importance of each of these areas when selecting a stone within their price range. The easiest “C” to sacrifice is almost always carat. Choosing a smaller diamond with high clarity and color grades as well as a good cut is often the best option. If you want big and bold, then select a warmer-hued diamond, but be careful when choosing a poor-cut diamond or a clarity grade below Slightly Included (SI). 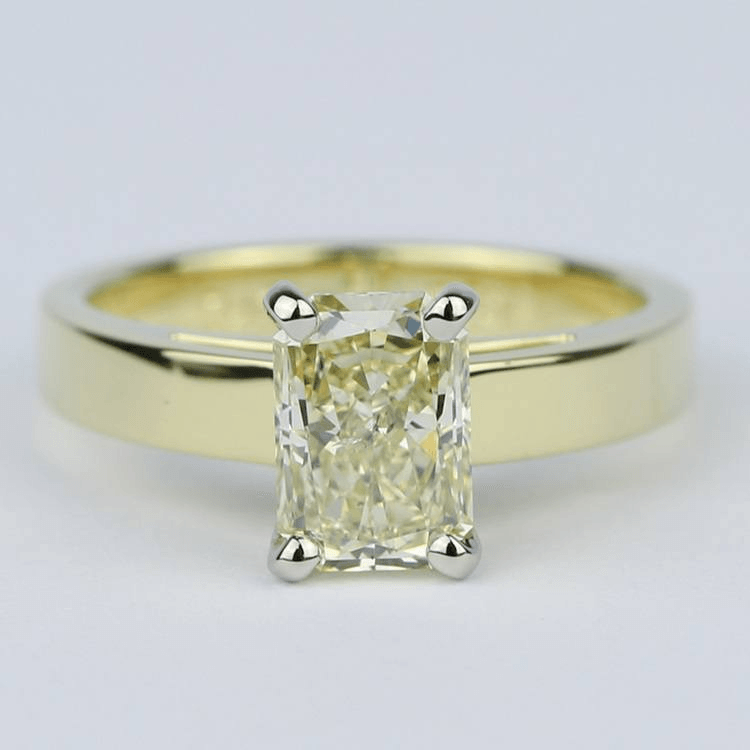 Visible flaws and a poorly-cut stone greatly affect the appearance and value of the diamond. Many diamonds are certified by one of the leading gem labs. Every certified diamond includes a certificate that states the diamond’s grades in each of the 4Cs as well as notations of any flaws. Certified diamonds assure you of the quality of your diamond. If a diamond is not certified, you might not know exactly what you’re buying. When shopping for a diamond, always choose a certified stone. Don’t Be Afraid to Go Fancy! If you’re looking for a big bold stone, don’t be afraid of diamonds that are pink, yellow, champagne, or even green. Yes, diamonds are available in multiple hues! Deeper hued diamonds are rarer in nature and more expensive. However, softer hued diamonds are typically quite affordable in a larger carat size. While the definition of the best diamond varies according to the budget and style of the buyer, there are a few ways to ensure you’re buying the best diamond for you. Know your budget and then examine the 4Cs of the diamonds in your price range. No matter what stone you choose, though, just make sure that your diamond is certified!